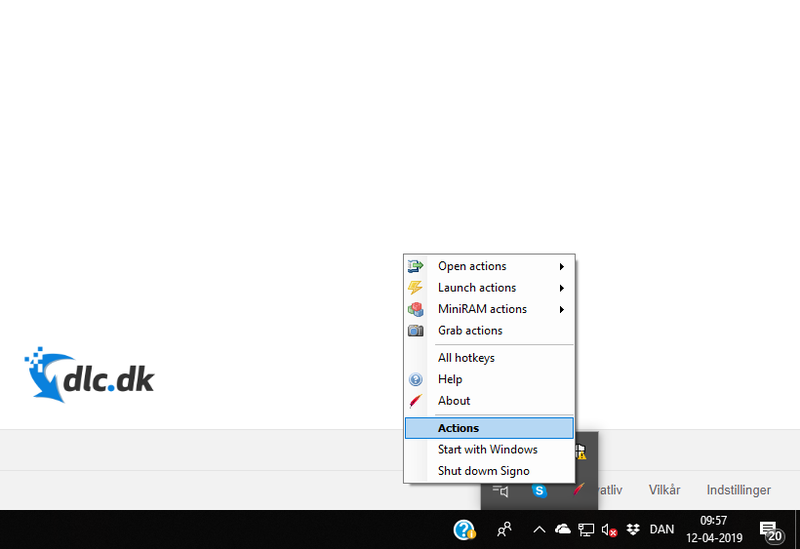 Signo lets you create smart shortcuts for most applications and windows features. It requires you to go through approx. ten steps to create the shortcut, but in return you will save countless mouse clicks in the future. The Signo program solves a problem that you probably don't know you are having. However, once you have tried the program, you cannot quickly live without it. It saves you a lot of time and unnecessary mouse clicks. 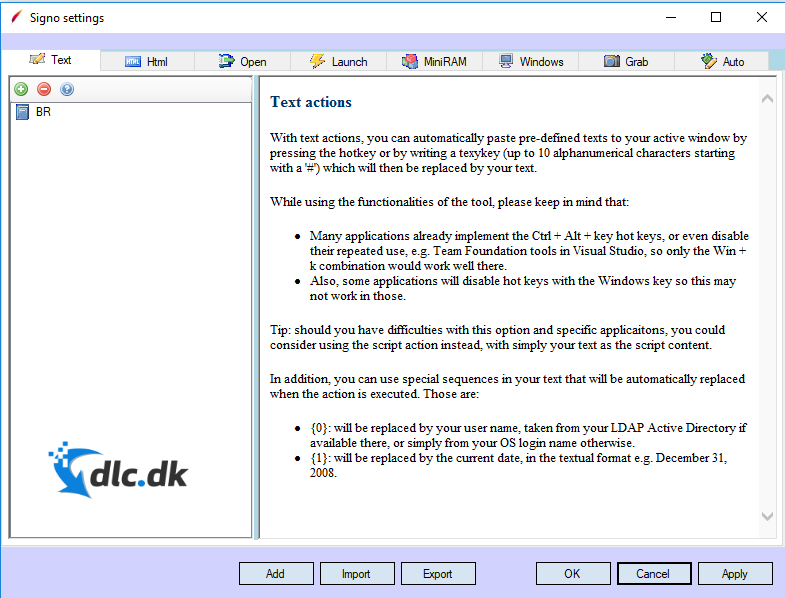 In the program you can create keyboard shortcuts for all kinds of functions and programs. It takes just a few seconds to create a shortcut, and then you will save time and click forever. Here's how a keyboard shortcut is created, so when you press the Ctrl + Alt + spacebar, Google's website opens up. With this you can in a few seconds search for everything you want without having to open a browser first, and then click on Google's website manually. An action like the one described above belongs to Signos Open actions. In addition to this category, however, there are also a number of other action categories, where you can create shortcuts to many other things. 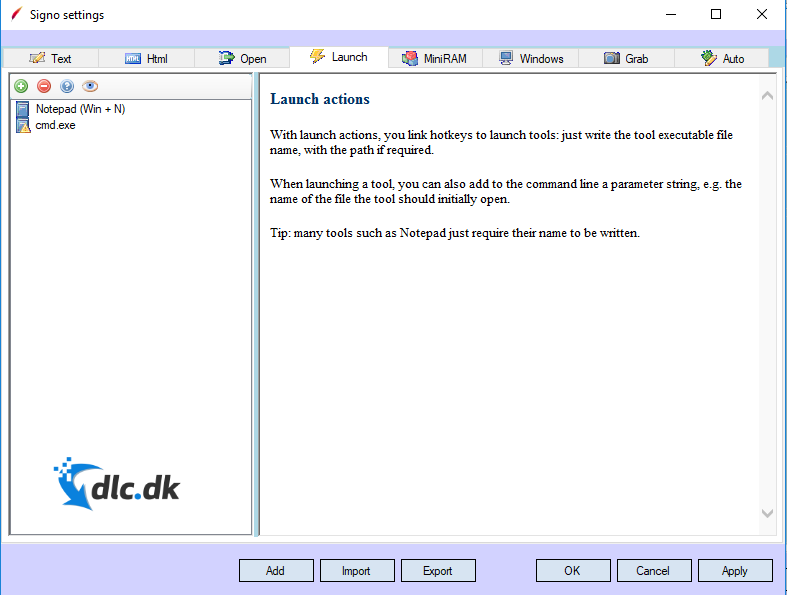 For example, there is a Launch category where you can create shortcuts to open the various programs you have installed on your computer. Another category is the Grab category, where you can make shortcuts to "capture" things on the screen. The program also makes it possible to take screenshots in other ways than those preset on Windows. 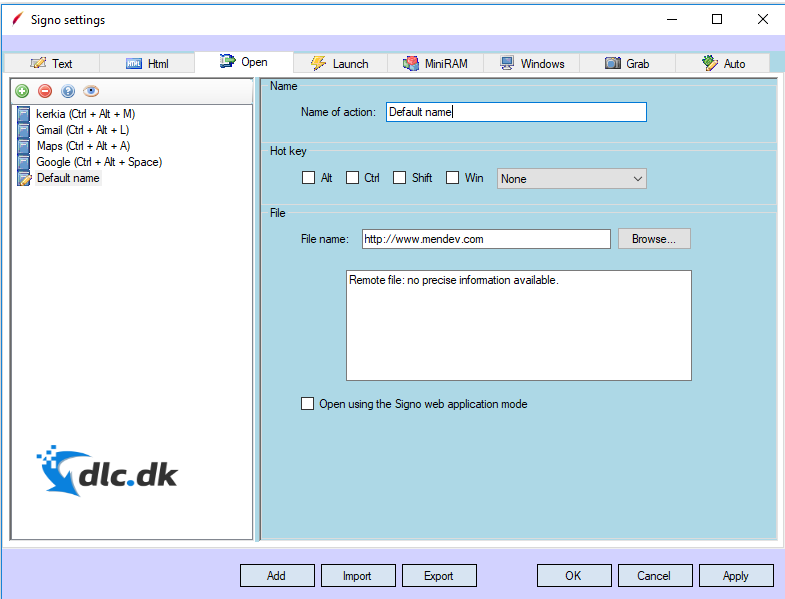 Once you have downloaded and installed Signo, it may be a bit difficult to find the program. There is an icon on your computer, but when pressed, it seems at first glance that the program does not open. This is because Signo works in the background. The window that opened up in the first segment is the setting window. This is only open when you choose to open it and its function is to create and edit the shortcuts. The way you open it up is to find it in the bottom right corner of the icons that symbolize programs running in the background of your computer. You see this below. The program is designed exclusively for Windows users and therefore you cannot use it if you are a Mac or Linux user. Signo is a great program that makes life much easier for those who do not want to spend unnecessary time. The program can create keyboard shortcuts that can do anything from opening specific web pages up to opening a program on your computer. It takes just a few seconds to create a shortcut, and then you will forever save precious time every single day. Find Signo, mark it and choose "Uninstall"
Should Signo has been damaged or corrupted and thereby difficult to remove we can recommend you finding help to uninstall it here.